So what happened to it? Were all rescued? I note that none of their advertising tells you the cost ($26 if booked on line). The footy’s cheaper! 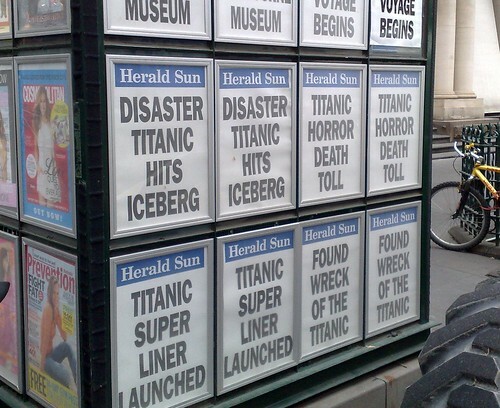 @Andrew, I don’t think so – note the “Titanic horror death toll” poster.